It's our pleasure to announce Jatindra Engineering Corporation as the leading enterprise in the field of design, engineering, manufacture and supply of a large assortment of Hot Rolling Mills on turnkey basis. 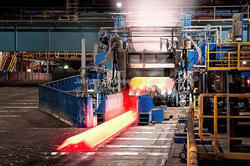 Numerous of our successful installations are enhancing the volume of steel & other metal production across the globe. With decades of well grounded experience we help our customers to give the desired shape to the metal or steel. Jatindra Engineering Corporation is a leading enterprise in the field of design and manufacturing of Water Treatment Lines TMT Quenching Boxes that come utilised in production of Re-bars in Rolling Mill plants. Premium-quality raw material are sourced from highly reliable vendors for manufacturing anf fabrication of equipment. We can also supply turnkey solutions for green field installations or modernize the installations in any brown field expansion. 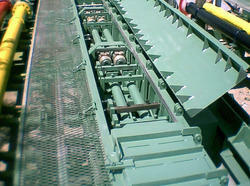 We offer a wide variety of coilers for all specific coiling requirements of Rolling Mill Industry. Our miscellany comes inclusive of wire bar Coil Lying Heads, Edenborn Coilers and Garret Coilers. Our product delivers not only quality, high efficiency in operation, reliability but also durability in long run. Ease of operation & maintenence. The engineers from the house of Jatindra Engineering Corporation have come to develop various largely sophisticated outputs of automatic cooling beds for the markets. We have with us a large collection of good quality outputs that comprise of cooling bed, automatic rake type cooling bed, chain skid type cooling bed, turn-over cooling bed and simple rope skid. We offer our product all over the world at largely competitive prices.